Below you can read an entire article featuring the Minnesota Iceman, originally published in 1970 in the pages of Saga Magazine. Saga was a popular Men’s periodical of the time that featured macho tales of adventure on the high seas, in torrid jungles, or as related here, on the fateful day of a hunting trip in the deep woods of Minnesota. 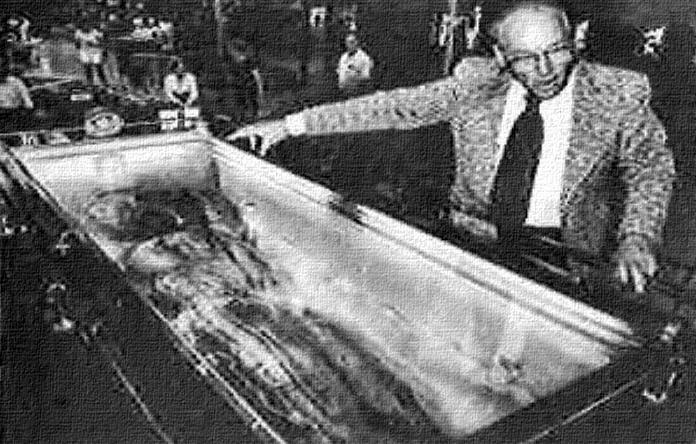 The man relating the story is none other than Frank Hansen, the same man who originally put the Minnesota Iceman on display and toured around the country with it in the 1960s and ’70s. 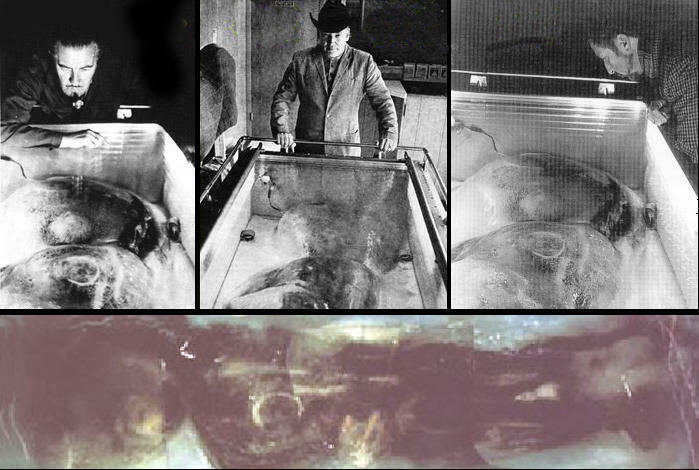 Prior to telling his story to Saga, Hansen had told a different version of how the creature came into his hands — that it was found frozen floating in a 6000 pound block of ice off the coast of Siberia, either by a Russian sealing vessel or Japanese whaling vessel, then confiscated by the Chinese government before it ended up in a deep-freeze plant in Hong Kong. 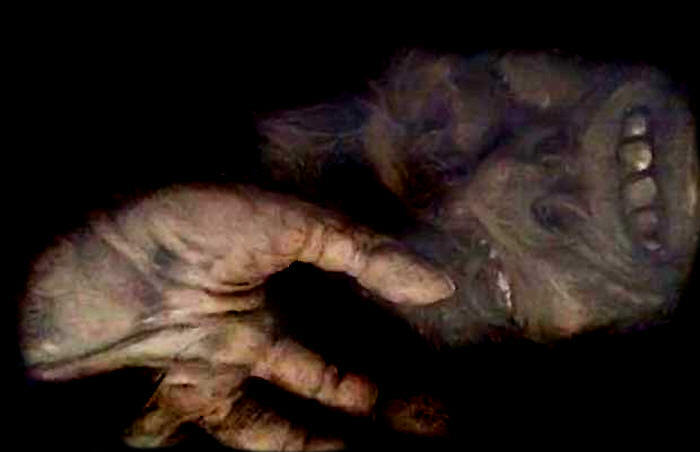 Originally Hansen claimed the creature was purchased by a wealthy California millionaire, who due to his high-profile and recognizability, wished to remain anonymous. It was this mysterious person (who many people believe may have been none other than Hollywood icon Jimmy Stewart) that commissioned Hansen to tour around America with it. According to Hansen, the buyer wanted to see the public’s reaction to the possibility of this being a part of our evolutionary ancestry. However, by time this magazine article had come out Hansen had changed his story quite considerably, as you will see. He now claimed to have shot the creature himself! So which story are you to believe? I leave that up to you to decide. So step right this way and you will see the most amazing things you eyes have ever beheld, yes it's on the inside go in now! For years the “thing” has been exhibited in carnival sideshows and state fairs around the U.S. and in Canada. For years the “monster” has been the subject of a bitter feud between it, owner and government agencies. 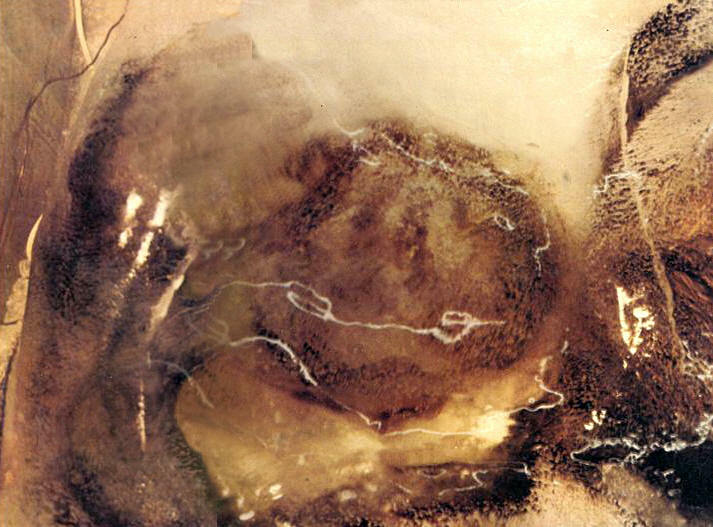 For years the “specimen” has fueled a raging battle among scientists — is it an incredible hoax or a fantastic anthropological find? 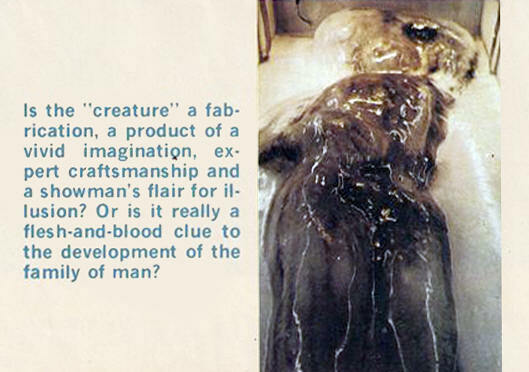 Is the “creature” a fabrication, a product of a vivid imagination, expert craftsmanship and a showman’s flair for illusion? Or is it really a flesh-and-blood clue to the development of the family of man? WANTED: DEAD OR ALIVE! The abominable snowman also known as Yeti, Oh-mah, Almasti, Sasquatch and other aliases. The fugitive is a two-footed mammal known scientifically as Homo pongoides, or “ape-like man.” Suspect has been identified as a missing link between the ape and modern man. Eyewitnesses have reported that he closely resembles the Neanderthal species of sub-human. Suspect is described as follows: Height: six to nine feet. Weight: 250 to 800 pounds. Complexion: wind-burned and ruddy. Dress: Suspect’s body is covered with one-inch long reddish-brown hair except for portions of the face, hands and feet, He has been seen in the Himalayan Mountains, in Russia, the United States, and Canada. If some persistent hunter should capture such a creature, we might expect that fame; fortune and a footnote in scientific history would be his reward. The enigma of the “missing link” has plagued scientists of the Darwinian theory for many years. The actual body of an ape-man specimen would end this controversy and prove the existence of the abominable snowman. The rewards should be considerable. Through pure chance and random circumstance, I obtained the body of such a creature. 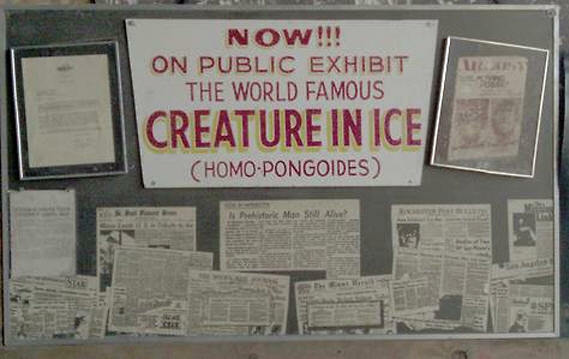 Two world-renowned scientists examined the corpse and declared it was a genuine ape-man creature, scientifically identified as Homo pongoides. 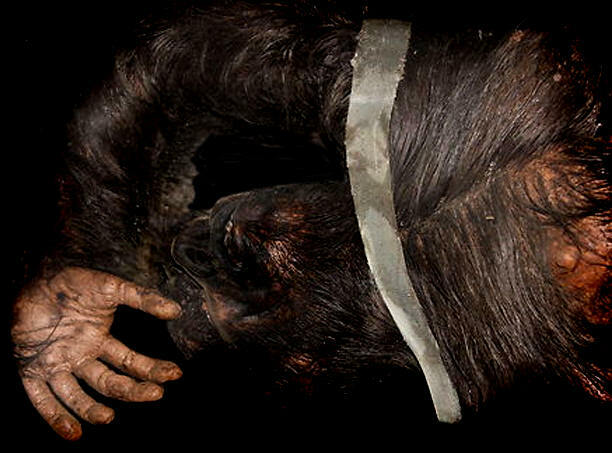 View of the upper portion of the Apeman, Author Hansen's creature stunned the scientific world, after it was discovered on state and county fairs circuit in 1968. His most difficult job was to keep it from decomposing. 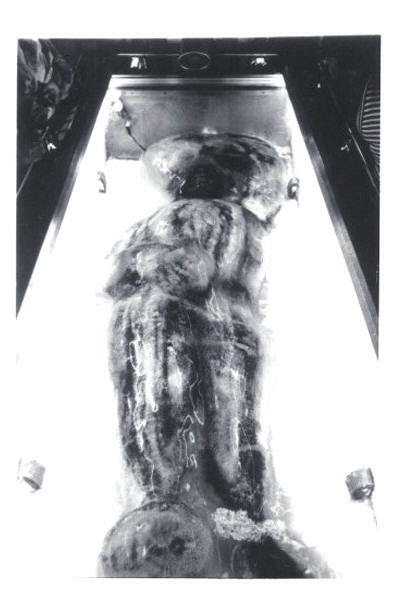 When the newspapers published articles on my specimen, I was astonished, and then concerned, to discover the creature was labeled a “hoax”‘ by the prestigious Smithsonian Institution in Washington, D.C. To my knowledge no member of the Smithsonian scientific staff has ever examined the specimen described by Dr. Heuvelmans and Ivan Sanderson. I became extremely nervous when the newspapers in both the U.S. and England pointed out that “… if this creature is real, then there may be the question of how and why it was killed.” My fears led me to an attorney and personal friend who explained the possibility of a murder charge. The Federal Bureau of Investigation and hordes of lesser law enforcement officials revealed a sudden, ominous interest in my specimen, On one occasion I had to ask my U.S. Senator for his help to get me out of an untenable situation with the Bureau of Customs and The Department of Health, Education, and Welfare. Now, for the first time I want the full story on this creature to be published. I have not asked for, and will not receive, a single cent from SAGA magazine. My main desire is to eliminate much of the supposition and conjecture about a story that has become the biggest controversy in the scientific world in the past decade. Let us start at the beginning. In 1960, I was an Air Force Captain and pilot assigned to the 343rd Fighter Group in Duluth, Minn. I had five years to go until my retirement as a 20-year Air Force career officer and was looking forward to a quiet life on a small farm somewhere in southern Minnesota. I enjoyed being stationed in Duluth as the hunting and fishing in northern Minnesota is the best in the world. During the 1960 deer-hunting season I was staying in a small resort on the shores of the Whiteface Reservoir, approximately 60 miles north of Duluth. Lts. Roy Aafedt and Dave Allison, and Maj. Lou Szrot were the other members of the hunting party. We left the cabin a few minutes after six on the second morning and, although I had not spotted a deer on the opening day, I was confident that a narrow neck of swamp where I had hunted was one of the best locations in the area. I sat motionless on a hillside overlooking this pine-crested thicket for almost two hours. I was about to leave for another location when a movement at the edge of the swamp caught my eye. My pulse quickened as I thumbed for the safety catch on my customized 8mm Mauser. A large doe, partially obscured by a cedar tree, was staring directly at me. Suddenly, a shot echoed from the other side of the swamp. With one frightened leap, the doe dashed out of the thicket and headed straight toward me; I raised my gun into firing position just as she spotted me. Making three great leaps broadside, she scrambled beck toward the swamp. I fired just as she reached the edge of the trees and she fell, headlong, onto the ground. I bolted my rifle end tried to get off another shot but she was up and out of sight into the heavy brush before I could take aim. I walked toward the thicket where I located large spots of blood on the frozen grass. I also discovered that the wounded doe had left a clear trail that led straight into the swamp. There was no snow on the ground and my borrowed compare proved useless. It was against my better judgment but I decided to follow the trail for a short distance into the swamp. I pushed slowly along following the doe’s bloody trail, expecting her to be lying just beyond the next bush. After an hour, however, I realized that it would be impossible to pack the deer out even if I did find her. I checked my bearings and decided to take just a few more steps before retracing my trail out of the swamp. Stepping over a small cedar log I heard a strange gurgling sound just ahead. Startled, I raised my gun and listened to the noise for a moment concluding that the deer went down and strangled in her own blood. Cautiously, I eased my way toward the sound. Suddenly, I froze in horror! In the middle of a small clearing were three hairy creatures that at first looked like bears. Two of these creatures were on their knees, tearing at the insides of a freshly killed deer. The deer’s innards were scattered around the clearing and the “things” were scooping blood from the stomach cavity into the palms of their human-like hands. Raising their cupped hands of fresh blood to their mouths, they swallowed the liquid. The third creature was about 10 feet away, on the edge of the clearing crouched on his haunches. It was obvious that he was a male of similar stature as a man. Absolute horror gripped every muscle of my body as I stared at this frightening tableau before me. I felt as if my body had turned to stone. Without warning the male leaped straight into the air from its crouched position. His arms jerked upward, high over his head, and he let out a weird screeching sound. Screeching and screaming, he charged toward me. I cannot remember aiming my rifle nor do I recall pulling the trigger, but a bullet must have slammed into the beast’s body. Blind with fear, I started to run. I dashed over the swampy terrain not knowing or caring in which direction I ran. My only thought was to get away from those horrible “things.” I stumbled, fell, picked myself up, and fell again. I thought they were right behind me. Finally, I fell onto the frozen marshland completely exhausted, not caring if the creatures caught me. I lay there waiting for the attack. I have no recollection of time and perhaps my mind blanked out, when I regained composure there was only the natural silence of the swampland. I wondered if I hadn’t fallen asleep and dreamed the whole thing. Regardless. I knew I must find my way out of the swamp. My compass, which I had borrowed from Major Szrot, was next to worthless. I raised my rifle and fired the three rapid shots that signal a hunter is in trouble. Nothing happened. I reloaded my rifle and fired again. This time returning shots echoed in the distance. I moved in the direction of the shots but stopped periodically and listened intently for some familiar sound. After traveling a considerable distance. I finally heard someone calling to me. Traveling in the direction of the voice I finally emerged onto a hilly clearing and saw a group of hunters standing around their camp. I approached and, hiding my fright, explained that I had become lost from my hunting party that morning. Two of the hunters seemed to know where our green pickup was parked and volunteered to drive me back in their automobile. It was past noon when we arrived back at our parked truck. Lou and the boys were waiting. I threw the compass at Lou. “That compass isn’t worth a cent.” I complained. “You’re just the great white hunter who got lost.” someone chuckled, chiding me for my lack of wood lore. On several occasions that day, I started to mention my harrowing experience to my companions. I wanted to confide in someone, but how could I? Military retirement was less then five years away. I might lose everything if the story got out. The night surgeon might even believe I was mentally unstable and unfit for flying duty. I could be forced out of the Air Force on a medical discharge. My mind reeled with the possibilities. If I returned to the swamp what would it prove? Had I killed the creature? Was it an escaped gorilla? Or was it a man dressed up for-some deer- hunting prank. Except for being completely hair-covered, the “thing” seemed to have every feature of a human being. What about the two creatures that had disappeared? Or, had the whole thing been the product of my imagination? Everything was unreal and totally incomprehensible. Our hunting party returned home and I spent a month wrestling with my conscience. I had been troubled with migraine headaches several years previously and now they returned with a pounding intensity. I swallowed dozens of pills each day. As both an instructor and instrument check pilot I always flew as aircraft commander. I often had a pilot who was neither current, nor checked out for the particular aircraft we were flying, so I avoided airtime, except for a single four-hour flight near the end of the month. I knew it was impossible to continue to fly until the mystery of my experience in the swamp had been resolved. I watched the weather closely, waiting for a heavy snow, which would provide good tracking conditions. I would not consider going into that swamp again without being able to backtrack in my own footsteps. On the 29th of November it happened. The weather reported five inches of fresh snow in the Whiteface area. On Friday, December 2nd. a warm front moved in and the snow was slowly melting making ideal tracking conditions. By now I had formed a plan. The following day I took my automatic shotgun. several rounds of double-O buckshot, hooked my swamp-buggy to the back of my pickup and with Mike, my faithful dog, headed north to Whiteface Reservoir. Passing Ranta’s resort, I proceeded to the east side of the lake. After the bug was unhooked and the chains installed on the huge DC-3 aircraft tires. I headed down the old logging trail looking for the area where we had parked our truck during the hunting season. Mike was trembling with anticipation and I was shaking with fear. Any mishap could be disastrous. It seemed doubtful that any other human would enter this portion of the woods for the rest of the winter. I was also aware of the possibility of encountering one or more of the “things” and not knowing what to expect created a fear that almost caused me to turn back. The bug ran beautifully as I inched through the soft snow, so I turned my attention to searching for a familiar landmark. After making several lucky guesses at “Y’s” in the trail I suddenly recognized the small clearing where the truck had been parked. Again, almost uncontrollable fear gripped me as I parked the bug. My heart raced wildly as I pulled my shotgun from the rack and heeded for my old stand overlooking the swamp. The old trail that had been taken by the wounded doe was covered with snow so I inched in a general direction toward the scene. It was difficult to walk, as small logs covered with snow acted as built-in obstacles. I was constantly on the alert for tracks in the melting snow. Once I fell across a snow-covered log and remained there to rest for a few minutes. Mike, working in his usual circle, jumped a browsing deer that came crashing through the thicket. My heart leaped into my throat. I called softly to Mike. He returned trying to lick my face as if he could erase the fear from my body. “Mike, old friend, we’ll be lucky to get back to the bug,” I said softly. “Let’s get out of here.” It was almost two o’clock when I started to retrace my tracks in the snow. I wanted to get out of this devil swamp and back to civilization. My legs moved faster and faster as I swore to never set foot in the swamp again. I tripped over a large snow-covered log. When I tried to get up, horror flashed over me. I had fallen directly on top of a frozen, human-like form. I was ready to run when Mike started to dig at the body under the snow. I realized then that the events of that horrible day a month earlier had been real. I staggered to my feet, called Mike to my side and spent several minutes staring at the huge, hairy body. Finally I brushed the snow away from the head and noticed that one eye seemed to be completely missing. But there was so much frozen blood it was impossible to tell for sure. The face was not covered with hair, but the neck, shoulders and stomach, were caked with frozen blood. The creature’s left arm was twisted under the body but I compared the right hand with my own. This hand appeared identical to mine, except it was twice as large. I decided that the creature should not be left in the swamp. I was still concerned with the scandal that could jeopardize my retirement from the Air Force. It was impossible to dig a grave in the frozen earth. If the creature was left in the swamp, a wandering hunter might stumble over the body in the spring. An investigation by law officers might lead the authorities to me. There was only one thing to do. I left the swamp buggy concealed in the woods and went hack to Duluth with my pickup. I told my wife that the bug had become stuck, and I had to have a pick, shovel, ax, and chain saw. I returned to the swamp the following day and inched the bug back into the brush cutting a trail as I went. Using an ice chisel from the truck, I chopped the creature’s body from the frozen earth. Loading that hulk onto the rear platform of my swamp buggy was one of the most difficult experiences of my life. The body was rough dead weight, and was frozen solid. Finally the icy form was laid out on the platform and I snugged it down with cargo straps that were standard equipment in the bug. When I reached the pickup I struggled to transfer the monstrous form to the truck bed. Again the nylon straps were indispensable. It was after dark when I pulled up to my home in the suburban military housing area of Duluth. My wife, Irene, war almost hysterical when she saw the gigantic corpse. I was now beginning to accept the creature and finally, I convinced her of the seriousness of my experience. She finally agreed to my plan. Like many military wives she was accustomed to adjusting to unforeseen and unpredictable circumstances. We put our three children to bed, waited until they were asleep, and then with the use of the straps dragged the carcass of the creature into the basement. The creature remained in our food freezer for almost a month. Then my curiosity drew me into the basement. Man or animal? A mutant human or a cross between the ape and man family? There were a hundred different explanations. I opened the freezer and discovered the creature’s body was dehydrating. Certain parts of the body looked likes piece of dried-up meat. My wife thought a moment. “Remember those Canadian lake trout that we kept for two years? We froze them in ice water and they stayed fresh. Perhaps the thing could be preserved that way. It’s worth a try.” We started by pouring 20 gallons of ice water into the freezer each day. The job was completed within a weekend and our incredible secret was now encased in a solid block of ice safe from prying eyes and freezer burn. To make certain that no one could open the freezer; the door war locked and I kept the only key. When the spring thaw arrived I was faced with another dilemma. It would require several days to melt the ice around the creature’s body, and, in the process the basement of our home would be filled with an odorous stench. I was also concerned about the danger of burying the “thing.” A passerby might see me digging a grave and alert the police. Transporting the body from my home to a gravesite was equally dangerous. I envisioned a traffic accident, with the smelly creature tossed out on the pavement and a police officer staring at me as I fumbled for some rational explanation. My wife was now accustomed to having the creature in the freezer so I decided to leave it in the basement and not press our luck. In the summer of 1961, we purchased a farm near Rollingstone, Minn., in preparation for my retirement. We agreed that the family would move to the farm at that time and I would commute on weekends. I could not risk allowing a moving company to transfer our freezer so I rented a U-Haul truck and moved all of our furniture by myself. 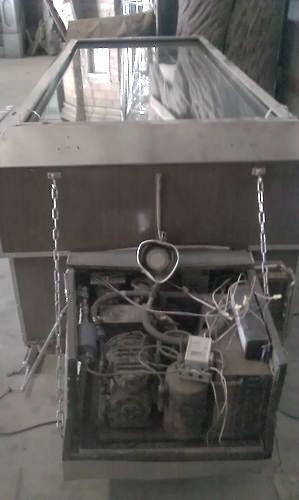 Friends helped skid the heavy “meat packed” freezer out of the basement and into the truck. A couple of fellows asked why I didn’t remove the meat first but I explained that I wanted to keep it cold inside for the long trip to the farm. “Besides I couldn’t seem to locate the key in all the confusion of moving. The trip from Duluth to Rollingstone took seven hours and the top layer of ice had started to melt. Friends and relatives again assisted in unloading the furniture and skidding the heavy freezer into the basement. I breathed easier when it was safely situated in the utility room of our remote farm home. I could not get by until retirement without fear of exposure. I was concerned that a power failure might occur so I purchased a standby generator to cope with such an emergency. It was also gratifying to know that it could now be buried at any time in our “back forty” without fear of being seen. In November 1965, I retired from the Air Force after completing 20 years of active service. I joined my family at the farm end quickly became disillusioned with the inactivity of life. I now had plenty of opportunity to read and for the first time became acquainted with the many stories and legends about the so-called “Abominable Snowman.” The more articles I read the more certain I became that the “thing” in our freezer was a type of snowman. I now began to make discrete inquiries about the statute of limitations on murder and learned that there was no time limit in the state of Minnesota. Because of this, the decision was made to just sit tight with our specimen safely in the freezer for a while longer. In December 1966, I happened to meet a veteran showman who quickly recognized my boredom with civilian life and suggested that I become a full time showman by exhibiting a rare old John Deere tractor that I had acquired and loaned to the Smithsonian Institution. It had been returned to me from Washington and I was showing it on a highly selective basis. “Take your tractor on a full-time circuit of major fairs. You won’t get rich but you’ll have fun and discover a whole new world out there.” he raid. Suddenly a thought dawned on me. “Would some sort of a frozen hairy creature resembling a prehistoric man make a good attraction?” The showman almost choked. “It’s a great idea, but where would you ever get a specimen like that?” “Perhaps I could get one made,” I said, not being able to divulge my secret. I returned home with only one thought in mind and immediately consulted with my attorney concerning the legalities of exhibiting the creature. He listened with amusement until I drove him to my farm and opened the freezer. He stared down into the cloudy ice with horrified fascination. Later, we discussed the legal aspects. In January 1967, I made sketches of the real creature and went to Hollywood to confer with the men who make models for the motion picture industry. I talked with Bud Westmore, the director of make-up at Universal Studios. 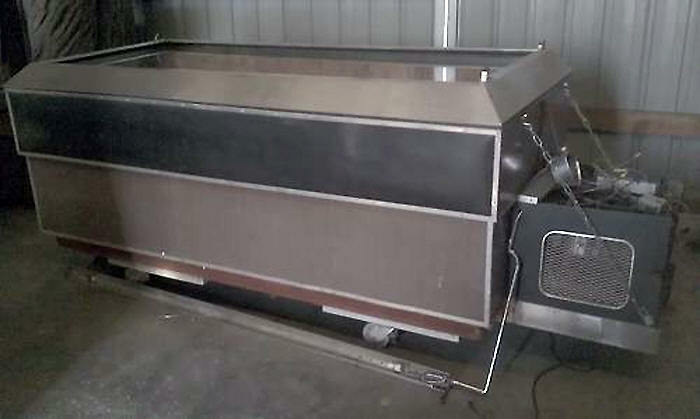 He informed me that such a model might cost up to $20.000. Westmore didn’t have the time to make the creation, but he agreed to offer his technical knowledge if I needed it. He also agreed that it would be a “challenging” endeavor. I then consulted with a staff member of the Los Angeles County Museum. He suggested that I contact Howard Ball, an independent artist who was creating life-size fiberglass elephants to be displayed at the La Brea tar pits. I later engaged Ball to sculpture the carcass and mold the body. John Chambers, a make-up artist and academy award winner from 2Oth-Century Fox suggested that a small wax studio in Los Angeles could implant the hair according to my specifications. I approached Pete and Betty Corral. They agreed to do the work and implanted each hair individually with an open-end needle. I constantly directed this portion and their work was magnificent. They were great artists and a pleasure to deal with. By the time the model was completed, I had another worry. There was no guarantee that any exhibit would make money on the fair circuit, yet I had spent several thousand dollars, some of it borrowed, to obtain the model. Despite my misgivings, I enlisted the aid of a friend in Pasadena and we added the finishing touches to make it look as close to the specimen in my freezer as possible. The bloody eyes, broken arm, and the blood-soaked hair was carefully duplicated to match the original. It was now time to freeze the ice around the model and this presented a few humorous moments. I rented a cold storage room from a large Los Angeles ice company and at eight a.m. one sunny morning pulled in with my monstrous creation in the rear of my station wagon. A stunned executive happened to stroll by and did several double takes. “W-w-w-w- where are you going with that thing?” he stammered. “I’ve rented a storage room for a few days,” I explained. Later, I arranged to “ice down” the model at a privately owned locker plant that had recently shutdown. 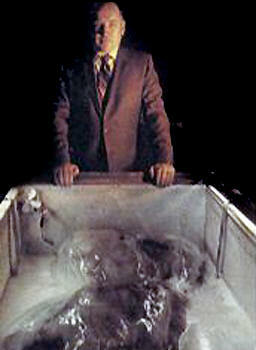 The final phases of my creation were completed there: I placed the model in a refrigerated “coffin” designed especially for the exhibit. This was done with heavy straps and a rented forklift. The coffin was transported in a special show trailer to Los Banos, Calif., arriving just in time for its debut with the West Coast Shows. On the 3rd of May 1967, the exhibit was opened to the public for the first time as a “What-is-it” type of show. “Where did it come from?” curious spectators inquired. “It is claimed to have been found by some Chinese fisherman in the Bering Straits,” was my stock reply. My “cover” story had been created in advance and worked very well, so I stuck to it for the next two years. As I continued along the fair circuit that year. I readily admitted to other showmen that this was a creation. All agreed it was a compelling attraction, but the model contained too many imperfections to fool anyone with an expert knowledge of anatomy. Apparently the exhibit was brought to the attention of Ivan Sanderson and Bernard Heuvelmans by one of their colleagues. They called and asked permission to examine the creature. This was a grave mistake on my part. Both men were visibly impressed but made no mention of releasing a scientific report. 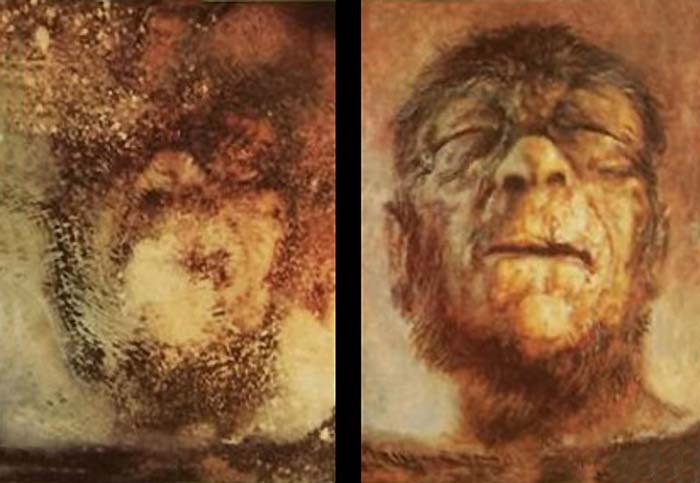 However, Dr. Heuvelmans published an article on the “Homo pongoides,” the “Ape-man” in a February 1969 bulletin of the Royal Institute of Natural Sciences of Belgium. 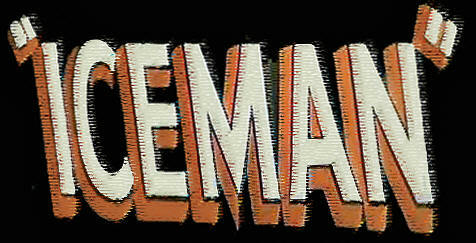 “The long search for the rumored live ‘ape-man’ or ‘missing link’ has at last been successful.” he reported. My problem started again with the publication of Heuvelmans’ article. It seemed as if every newspaper, radio station, magazine and television station in the world wanted to verify the existence of the creature. Calls poured in each day from London, Tokyo, Berlin, Rome, and scores of American cities. The Smithsonian Institution requested permission to inspect the carcass. This request was promptly refused. 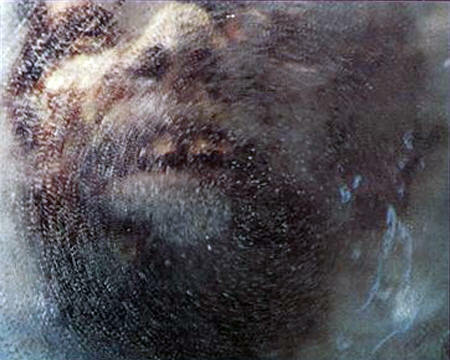 Dozens of scientists asked permission to remove a core sample of the creature. Biologists wanted hair end blood samples. 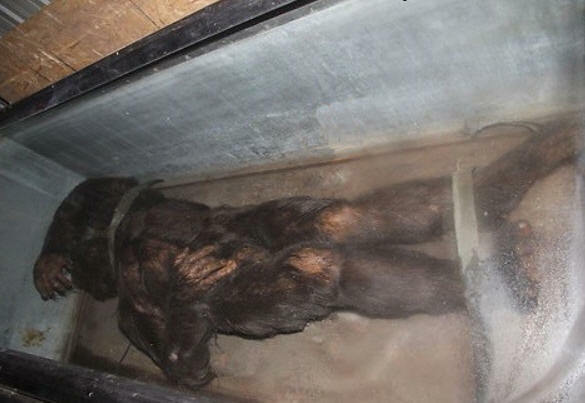 Heuvelmans had stated in his article that it appeared that the creature had been shot. Newspapers began to speculate on the possibility that law enforcement authorities should investigate the manner in which I obtained the creature. “… If the body is that of a human being, there is the question of who shot him end whether any crime was committed,” an article in the Detroit News reported. With these events swarming into my life, I became a regular visitor to my attorney’s office. His advice was clear-cut and direct. “Frank, you had better substitute the model for the real specimen and then take off for a long vacation.” This sounded like good advice, so I made arrangements to make the transfer in a cold storage warehouse. 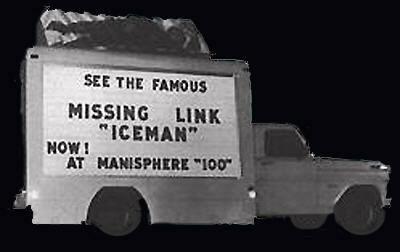 The original specimen was put into a refrigerated van and sped to a hiding place away from the Midwest. Refreezing the model took several days and it was during this period that newspapers carried accounts of both me and the creature vanishing. During the past few months I have been pressed for the conditions or circumstances under which I would consider giving the specimen up for scientific evaluation. Two conditions must be met before I would even consider such an action. One: A statement of complete amnesty for any possible violation of federal laws. 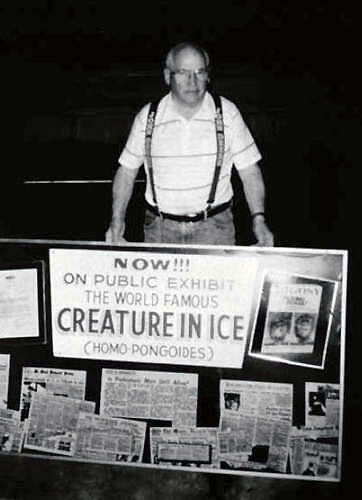 Two: A statement of complete amnesty for any possible violation of state and local laws where the specimen was transported or exhibited during the 1968 fair season. There will surely be skeptics that will brand this story a complete fabrication. Possibly it is, I am not under oath and, should the situation dictate, I will deny every word of it. But then no one can be completely certain unless my conditions of amnesty are met. In the meantime I will continue to exhibit a “hairy specimen” that I have publicly acknowledged to be a “fabricated illusion,” and leave the final judgment to the viewers. If one should detect a rotting odor coming from a corner of the coffin, it is only your imagination. A new seal has been placed under the glass and the coffin is airtight. © Saga Magazine, July 1970; story written by Frank Hansen.